The Ski City Cycling Team fields racers from all levels and categories for both men and women. Our elite race team is a collection of top riders who consistently place at the top of state and regional races. Our avid masters crew number many in 45+ and 55+ categories and our women’s team currently boast three masters national champions. The best way to get to know a team is to walk a mile in their shoes, or in our case ride 100 miles with them. Our group rides are not only the best way to get some fantastic training experiences but a great way to get to know the individuals of the team. Each Saturday and Sunday, the Ski City Cycling Training Rides will meet up at Flynn’s Cyclery (4640 South 2300 East in Holladay) at 9:00am or 10:00am depending in season. Group rides welcome to all and while some the pace can get high there is always a focus on the safety of the group. We would like to thank our amazing sponsors. They make all this possible. Ski City encompasses Salt Lake’s distinct areas, unique neighborhoods, and four amazing mountain resorts: Alta, Brighton, Snowbird, and Solitude. It’s everything from young-and-liberal downtown SLC to cozy, family-friendly Sandy; from the diverse dining mecca of West Valley to the legendary snow patterns of Little Cottonwood Canyon. Ski City, Ski More. Do More. Save More. 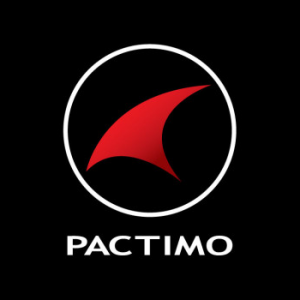 Pactimo (pac-TEAM-O) has found continuous inspiration in our home’s breath-taking beauty and extreme conditions to develop cycling apparel for every climate, elevation, and adventure. Since 2003, we’ve shipped over 1.5 million garments to champions, teams, clubs and individual cyclists around the globe.Unlike many other cycling brands, our roots are in custom cycling apparel. That means at Pactimo we’ve always cared most about you, the customer, and your specific needs and aspirations as an individual rider.Our product development is driven by continuous direct feedback from thousands of customers, as well as by personal testing in the rugged and diverse conditions of our backyard.This process enables us to develop some of the most innovative, technical cycling clothing on the market. This spirit of continuous innovation is also deep in the DNA of our PACTIMO-branded apparel, which makes Pactimo quality available to the broader audience of individual cyclists through our online shop. Dynastar, We live Skiing. Join us. As America’s premier bike store we have the gear you need for your next cycling adventure from TIME, Cannondale, Pinarello, Assos and many more! Fill out and return this form (view and download) with your payment. Then check the Facebook club page for information on the latest clothing order with Pactimo. Pactimo’s on-line system and individually packaged orders makes it super easy to get the best cycling apparel available. Join the Ski City Cycling Facebook group to get all the latest news and ride information.